A fresh draft of the guidance has been drawn up by Her Majesty’s Revenue and Customs and is expected to be published imminently - it had been expected last week. 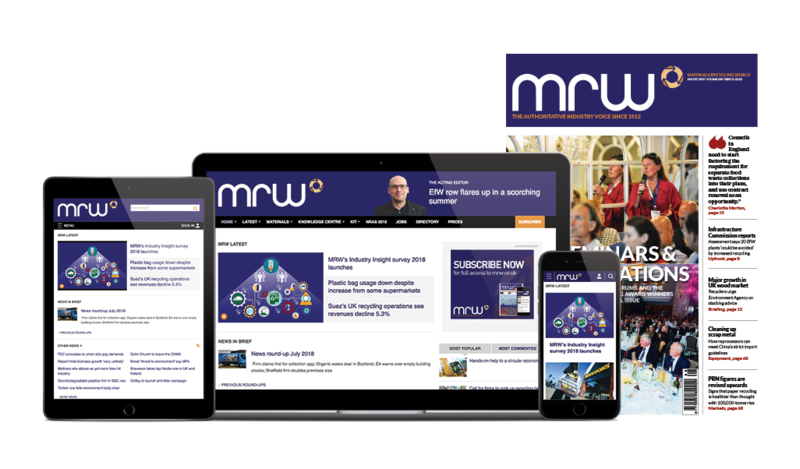 The draft, seen by MRW, confirmed ‘inert’ waste listed in the Schedule to the Landfill Tax (Qualifying Material) Order 2011, should be charged at the lower landfill tax rate of £2.50 a tonne - in line with what sector chiefs told MRW earlier this month. But HMRC has also pledged to produce further guidance “in due course” on the evidence required of firms wishing to dispose of waste and pay only the lower rate, rather than the top £64 tax rate reserved for active material. The move follows the Environmental Services Association (ESA) raising fresh questions on the issue. Sector experts told MRW the next couple of months could prove “challenging” despite the fresh guidance and the changes could continue to have a “significant impact on some areas of recycling”. Phil Conran, director at consultancy 360 Environmental said: “There is clearly now great nervousness amongst landfill operators as to whether they may be liable for back payment if the evidence is not considered robust enough to qualify. “If, for example, the qualifying criteria is applied solely at the point of origin, many mixed loads may end up being sent straight to landfill with no processing.